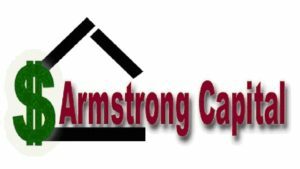 Armstrong Capital was established in May 1991. Jeff has been working in the note business full time since October 1993. He acquired his California Real Estate Sales License in June 1992 and then his California Real Estate Broker’s license in June 1996. Jeff became a member of the American Cash Flow Association’s Million-Dollar Club in April 1996 and was designated a Master Broker in the field of private mortgages in November 1997. He was appointed a visiting instructor position for the American Cash Flow Corporation in August 1998 through August 2008 when the company dissolved. With over 2000 closed note transactions since the inception of Armstrong Capital, Jeff’s knowledge and experience in the note industry is unsurpassed. Jeff is a recognized and requested speaker on seller financed notes, marketing, leadership, communication, motivation and inspiration at industry conventions, conferences and events nationwide. His enthusiastic and encouraging style as well as his step by step approach has quickly made his Secrets of Paper workshops top rated and one of the most sought after note courses in the country. Jeff is also a contributing columnist for the Paper Source Newsletter, Cash Flow Exclusive and other industry publications. In May 2005, he was awarded the “Contributing Writer of the Year Award” by the American Cash Flow Journal. From April 2006 through April 2008 Jeff was the Editor of the NoteWorthy Newsletter, a nineteen-year monthly printed publication for experienced Buyers and Brokers of Notes, Mortgages and other cash flows on the secondary market. In February 2008 Jeff became a visiting instructor for Nouveau Riche Real Estate College in Scottsdale AZ and continues to instruct for their newest organization, Renatus. Prior to establishing Armstrong Capital Jeff worked his way up through the ranks at various supermarkets to the night manager position for 9 years and worked the graveyard shift for the last 4 years of that. Since he worked at night he had to do something with his days. So, Jeff had several other businesses before starting Armstrong Capital including a landscaping and gardening business called the “Caretaker’s” and a handyman business called “Handy Dandy Fixer Upper”! Jeff owns a bass boat and enjoys competing in bass fishing tournaments. He also enjoys doing other activities with his family including snow skiing, camping, golf, biking, water skiing, swimming and surfing (not to mention traveling and the outdoors). When he is not watching his girls dance or in fashion shows, Jeff can often be found on a mountain, beach, desert or lake. Armstrong Capital primarily acts in the broker capacity and occasionally will purchase notes for their own portfolio. Through hard work, persistence and consistency, Armstrong Capital has established premier and preferred rates with several top funding sources. This translates into higher prices for your real estate secured notes. With Jeff’s knowledge and experience he assists note holders in obtaining the best options available to them.